City of Joy is a 1992 movie which involves life in in the slums of Calcutta. 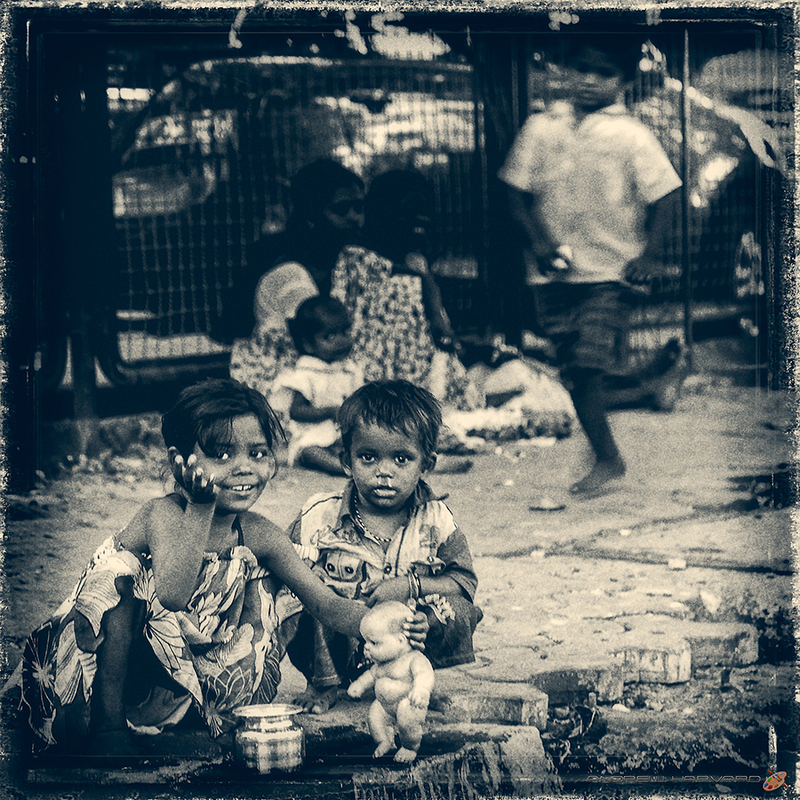 The inserted photo was taken in Mumbai and not Calcutta, but the joy of the two youngsters bathing a doll on the pavement on the side of the road was evident even before they noticed our presence from the taxi in which we were sitting. A young girl and presumably her brother were being minded by what I believe to be their mother who seen seated in the background holding a third child: a young baby. Another lady seated alongside the mother and a slightly older boy was running over to the parent of children at the time I took the photo. The young girl, upon seeing my presence, broke into huge smiles and a small wave from my side ensured that she waved back twice with a big grin. After we drove on, she and her brother continued washing the doll using a small metal cooking pot filled with water. This was fun and games for sure without a mobile telephone or Apple iPad. However, if I thought this to be a good example of joy from poverty stricken children then I was wrong as I had yet to experience the joy of the school children I encountered a week or so later in Dharavi, which is apparently one of the biggest slums in the world. City of Joy is one of my all time favorite movies and this is a great shot! Fabulous photo! Can’t wait to see more!